Update: I’ve been in touch with a Springshare representative who tells me that things like the contextually aware D2L widget from Portland State University will work in LibGuides 2.0 and apparently, the responses we’d received from support were based on hypotheticals (though we’d explicitly sent the link to PSU’s code in our emails to support). This is very good news, but I am dismayed that it takes a blog post to receive a straight answer, because what we’d heard from support originally was that there was a change in access to the API. What I do know for sure is that if you want to use JSON data and full access to the API, you will need to upgrade to the CMS product and that what they used to call an API wasn’t a true API. So there isn’t access to the full API with LibGuides 2.0, but apparently there never was, FWIW. When you think of Web 2.0 (a term I know you know I dislike), what do you think of? Rounded corners? The read/write web? Social media? Collaboration? The wisdom of crowds? How about open APIs? Maybe that last one doesn’t come to mind for most people who aren’t web developers, but open APIs are critical to so many of the “2.0” web services we rely on. For those who don’t know what an API is, it is short for Application Programming Interface, and it is what allows developers to pull content or data from one web service into another. One application will make a call to the other through the API to pull in updated data/content regularly. It is the technology behind many incredible mashups out there (I’m particularly in love with those that layer data on top of Google Maps) and is how so many of our web services connect to one another. Use the wonderfully clever IFTTT (if this then that)? Won’t work without APIs. You don’t have to be a programmer to recognize the value of all that. I thought APIs were so integral to social software back in 2005 that I wrote about them in my book Social Software in Libraries. My writing on the topic was originally going to be an entire chapter (Chapter 2 to be precise), but the powers-that-be wanted it edited down, so it ended up in the chapter on “the future.” And, as predicted, it has become an increasingly important part of web 2.0 services in the ensuing years. 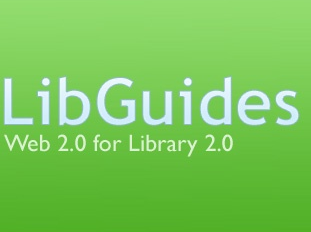 LibGuides was originally marketed as the Web 2.0 version of subject and course guides. It offered a Web 2.0 look-and-feel as well as tools to gather user feedback. And it certainly made it easier for web design novices to develop decent-looking guides (and ugly ones too as I’m sure we’ve all seen). 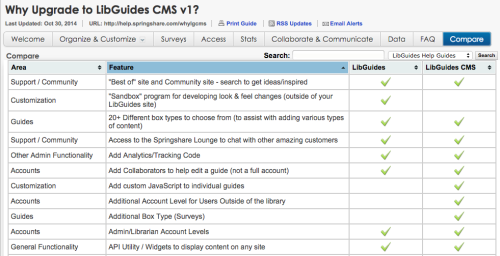 One great 2.0 feature of LibGuides was the open API, which allowed you to pull content from LibGuides into other websites, like the library website or a Learning Management System (like D2L, Blackboard, Canvas, etc.). This was what my colleague Mike at Portland State relied on to create our contextually aware D2L widget that connected students from their D2L course homepage directly to the appropriate course guide (where one existed) or subject guide to support their research. I led our adoption of LibGuides at PSU and this widget was one of the best things to come out of it. I’m now in serious deja vu mode as I work with colleagues here at Portland Community College to implement LibGuides (they’d been using the open source Library a la Carte for many years). It’s actually great to have a second chance to implement LibGuides knowing what I know now and what I wish I’d done early on. Many of our students transfer to Portland State eventually, so the college tries to create a consistent experience for students wherever possible. Moving to LibGuides is another positive step in that direction and we planned to use the PSU widget to make our D2L instance even more in-step with PSU (and easier for students to use). 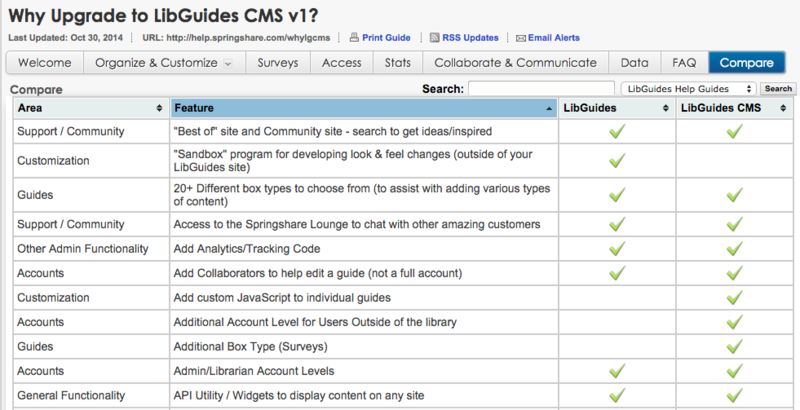 However, all our plans went on hold when we were told by Springshare that the open API was not a part of their LibGuides offerings in LibGuides 2.0 (they told us we have access to Tools –> Widgets, “many of which replicate what you might recall as API in v1″). I was pleased to find that this was an issue with how they define API (and did in the past), so apparently nothing has changed in 2.0 access. LibGuides promoted itself early on as being different from other library vendors, yet this move is exactly what I’d expect from a vendor that knows they have a critical mass of customers, next-to-no competition, and knows users by and large won’t leave. So, in order to pull more customers into their more expensive product, they make a certain feature that was part of their cheaper product now only available in the more expensive one. This is similar to the move EBSCO made when they pulled certain critical history journals our of Academic Search Premier and made them only available in their America: History and Life and Historical Abstracts full text products (which mostly otherwise contained junk at that point). Do you really want to be on par with EBSCO, Springshare? But the funny thing in this case is that I can’t find this information about the API no longer being open to LibGuides customers anywhere on their website. In fact, I find evidence of the opposite being true. So, if this is the case, it is not only a crappy thing to do, but, unless I’ve lost my ability to search a website, on nebulous legal ground, because people are making purchasing decisions based on the evidence on their website that they will have the same API access in LibGuides as in the CMS. As the person who promoted and helped get LibGuides adopted at two institutions, I am seriously pissed off. My next American Libraries column is all about how we can’t be complacent with library vendors, some of whom continually change (and in many cases decrease) their offerings without decreasing their price tag. This is just another example of the sort of stuff that goes on all the time and that we should not accept without a fight. These companies cannot survive without us, yet they know that ditching them will be painful for the library and for our patrons. We have to find ways to flex our collective muscle even when it hurts (especially when we are part of large and powerful consortia… cough cough…Orbis Cascade Alliance… cough cough) to advocate for what will best serve our patrons. Otherwise, we are not acting as good advocates for our patrons nor good stewards of the funds we receive. Image credit: From 2007 LibGuides website, which focused on how it brought “the benefits of Library 2.0 to your institution.” Courtesy of the Wayback Machine. so so glad I was able to convince the director to pay a librarian to create an independent subject guide site. It may even be possible (with the correct LRMI metadata) to link our sites together (I do enjoy searching for content from other libraries through libguides). Slaven Zivkovic, Chief Springy, here. My colleagues have clarified this misunderstanding via tweets/emails but I do wish to post the response for your blog readers as well. We have not, by any means, pulled any functionality available in LibGuides v1 and made it available in v2 CMS version-only. Here’s the crux of the misunderstanding – in LG v1 we had a piece of functionality called “API” but in the real programming sense it wasn’t a true API. It was a simple way to pull certain data from LibGuides via URL calls. This same functionality is still available in LibGuides v2, but we are not calling it API, instead it’s called by its true use – URL-based widgets. But it works the same. Here’s why the name change: In LG v2 we are introducing a real-time restful API functionality to make any LibGuides data available programmatically in real time – the stuff to enable programmers to take *anything* stored in LG and mix and match inside their own apps. I wanted to make this happen in LG v1 as well – I was one of the original co-developers/coders of the tool, but we didn’t have the resources to build and support a real-time restful API platform. Now that we have more resources and more clients, we are doing it! This is why we changed the name of the old “API” functionality in LG1 into Widgets (because that’s what they are) – to avoid confusing this with the real APIs. It is true that the new restful real-time APIs in v2 are only available in CMS. This is because supporting and developing this type of functionality is simply not feasible with such low base LibGuides pricing. Just building the real-time infrastructure for these restful APIs costs as much as the base LibGuides system, but alas. Now that I clarified this misunderstanding i.e. we are not charging more while offering less, please allow me to also clarify a few things about Springshare in general, as your post paints us in a rather unfavorable (and inaccurate) light. I am Springshare’s founder/ceo and even though we’ve grown a lot from our early days, I still spend most of my time answering customer support questions and interacting with our clients. This gives me an invaluable insight into how we are doing, how we can improve our tools further, what are the issues librarians face on a daily basis that we can help with, etc. 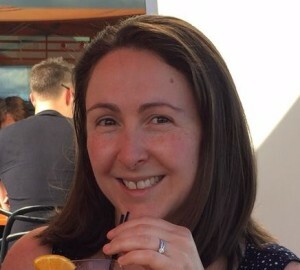 So, it was rather shocking to read this blog post which portrays Springshare in a light which is 100% opposite of what our clients tell us every day. Yes, we make mistakes – in hundreds of support questions we answer daily sometimes we give an incomplete or confusing answer, but with a few back-and-forths things are clarified. We could have done a better job picking names for these features to avoid confusion, and we could have done a better job explaining the functionality to make it clear that no, you are not losing any functionality by going from v1 to v2. An email inquiry would have saved you a lot frustration (for which I sincerely apologize, we take this stuff very seriously – as you can see :). We are definitely going to make this distinction about v1 vs v2 “api” functionality more clear in our webpages/faqs, etc. In terms of offering the best bang for the buck for our software and our service, in terms of being 100% committed to our customers (in actions, not just in words), in terms of being there to help each and every client with *any* issues (we’re often told that we answer questions about other library systems faster than the vendors of those systems), I could not be more proud of the job we’re doing for libraries. We’re here for you and for all our clients, so please do not hesitate to reach out whenever you have any questions or issues – even the tough ones.